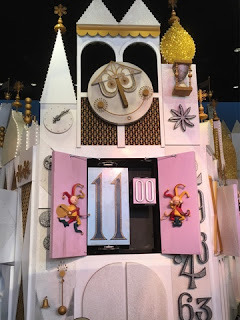 "It's a small world" is the most popular theme park attraction in history. Today, while waiting for my tour guests, I was in a great spot at the right time for a picture of the "cuckoo clock" in action. It comes to life every 15 minutes, as the doors open and the current time is displayed.